J’Zhirr sees a couple of bandits fighting two Dwarven Spheres, humanoid machines that guards the Dwemer ruins. It is widely believed that the Dwemers constructed the machines in their own image. 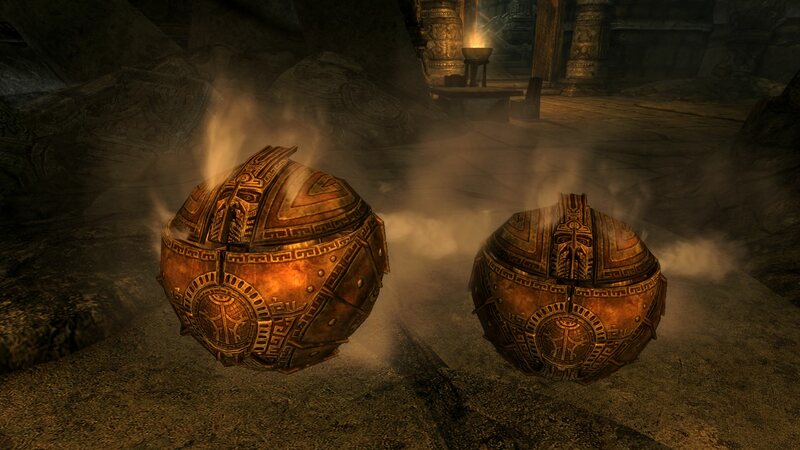 The Dwarven Spheres are strong and easily dispose of the bandits. There is nary a scratch on their metal surfaces. Once the threat is gone, the Spheres retract back into a ball and become stationary. Even when idle, they are still a fearsome sight, with steam billowing from their body.